We love it when people take something with a specific original purpose and flip that purpose upside down to create something new and totally awesome! 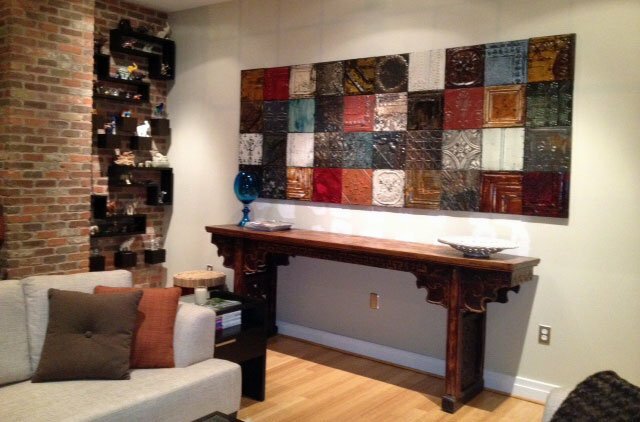 Many of our customers have been doing just that with our antique tin panels, available in 11 in. by 11 in. and 23 in. by 23 in. and other various sizes. The tin we salvage and sell is all about 100 years old. Our craftsmen fasten the tin to a wooden frame, which makes the finished piece extremely easy to hang. 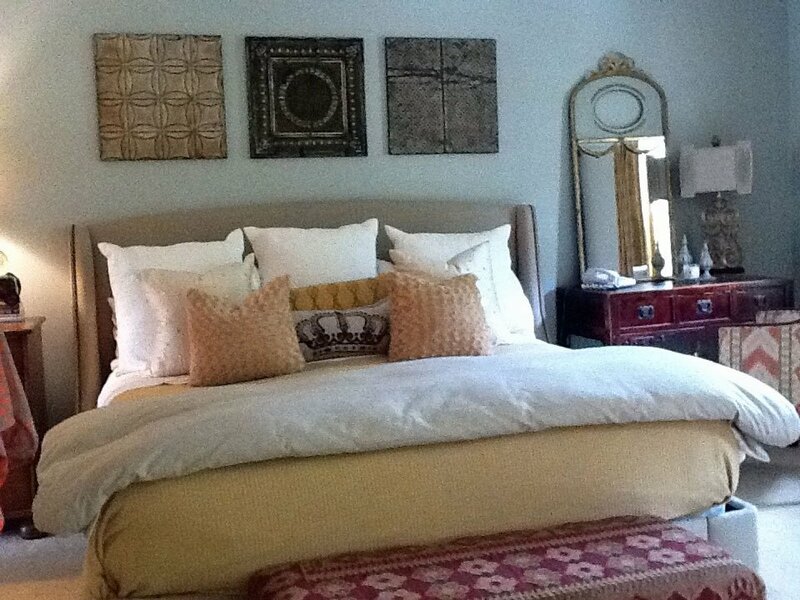 The photo below shows a beautiful statement piece that was created using our 11 in. by 11 in. tin panels. 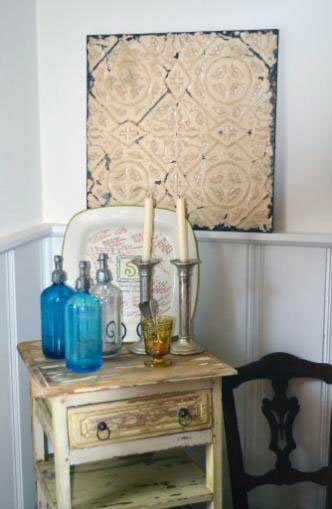 For people that prefer a simpler approach, placing a single tin panel or a small cluster of panels in fun areas can add depth and vintage charm to any room of your home. Below are two more images that show how fun this type of decorating can look – thanks Carrie and Accents by Nancy for sharing your photos with us! These panels can be bought in all of our stores, online, and at our flea markets and shows as well. If you find a creative use for them, send us some photos! We would love to see what you come up with.